A tactile and highly wearable pendant personalised with a beautiful calligraphy initial. This necklace catched the light beautifully and looks great worn with everything form jeans and a white t-shirt to a little black dress. 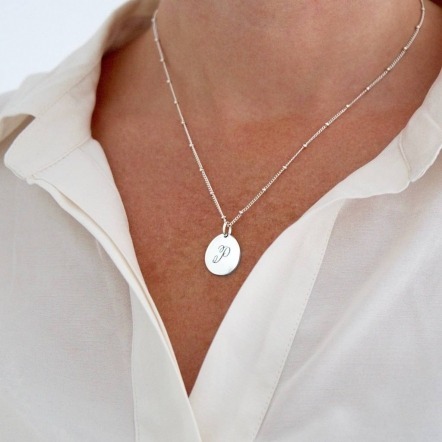 The polished pendant hangs from a pretty satellite chain and is available in silver or gold. Presented in a pink pouch and box.